The Los Angeles Lakers are 0-5. They’re getting outscored by 14.8 points per game and are currently on pace to be the worst defensive team in NBA history. Kobe Bryant has missed more shots than almost every player in the NBA has attempted. Despite all that, Lakers legend Magic Johnson is bullish. 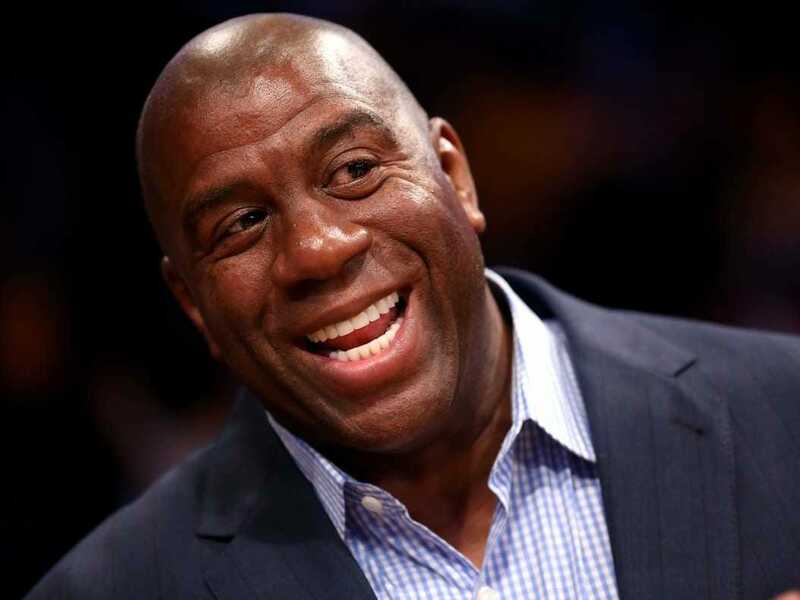 In a series of tweets on Tuesday, Magic called the Lakers exciting and said Kobe should be in the MVP discussion. The tweets are kind of unbelievable, in that it’s hard to believe he’s not just trolling. He sold his stake in the team in 2011. I know the Lakers are 0-5, but they are playing exciting basketball and Kobe is worth the price of admission. I definitely got a chance to watch 4 early MVP candidates play in Harden, Howard, Wade and Bosh! Kobe should also be in the early MVP talks with LeBron, Chris Paul, Blake Griffin, Anthony Davis, Carmelo, Curry, Thompson and Rose. In Magic’s defence, there have been a lot of points in Lakers games this year. But that’s because their defence is so bad, not because they’re an offensive juggernaut. They have been somewhat painful to watch on offence. Kobe is averaging an impressive 27 points per game, but that’s because he’s shooting the ball like a maniac. He has attempted 40 more shots than anyone else in the league. He’s shooting 40.2% on the year — the lowest percentage of his career.